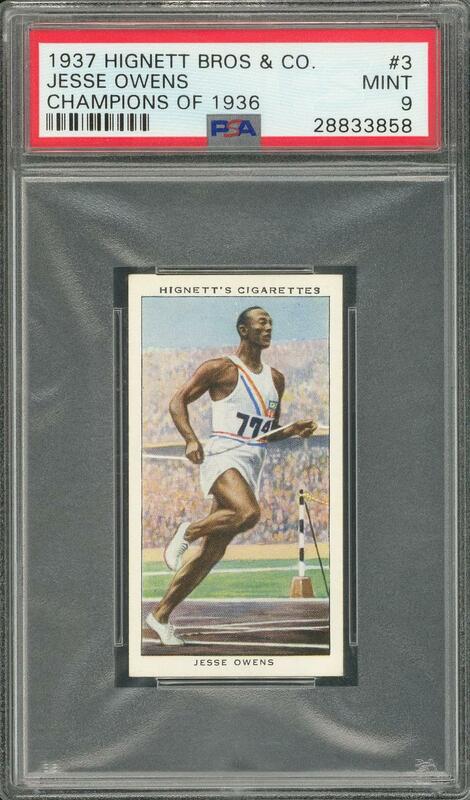 Lot Detail - 1937 Hignett Bros. & Co. "Champions of 1936" #3 Jesse Owens – PSA MINT 9 "1 of 1!" 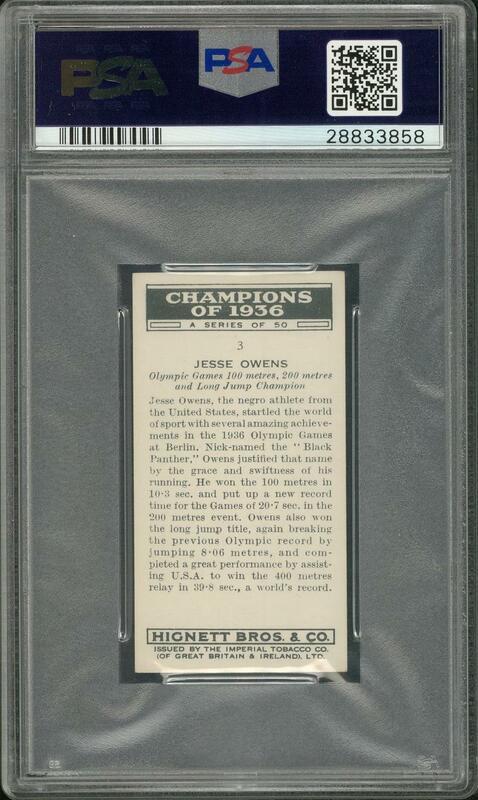 1937 Hignett Bros. & Co. "Champions of 1936" #3 Jesse Owens – PSA MINT 9 "1 of 1!" Graded MINT 9 by PSA. Hall of Famer. This is the only example at its tier (with none graded higher) among a total of six copies recorded in PSA's census reporting. 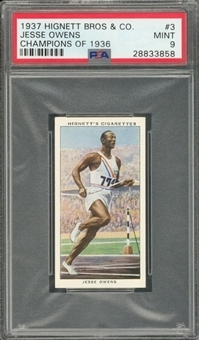 This colorful, period memento of the legendary athlete is significantly more scarce than its very similar Ogden's Ltd. counterpart. Super-sharp Mint condition.